Make learning science fun and easy with the Five Minute Science e-book! 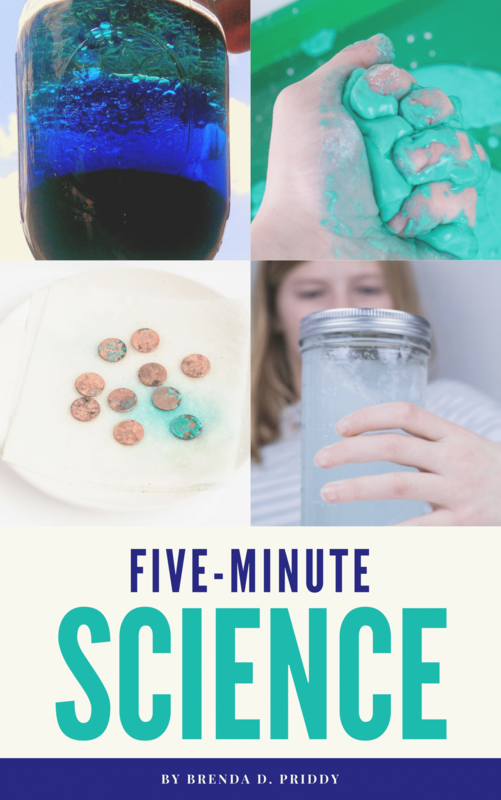 A collection of quick science experiments you can do in five minutes or less! Save your time and sanity with Five Minute Science! This fun science book includes 21 science experiments for kids you can do in five minutes or less! Includes everything you need to do science. Fast. Science topics including chemical reactions, kitchen science, color theory, weather, and more! You will be directed to the download page. Click “Download: Five Minute Science” to save your printable. You will also be sent an e-mail link to download your printable.